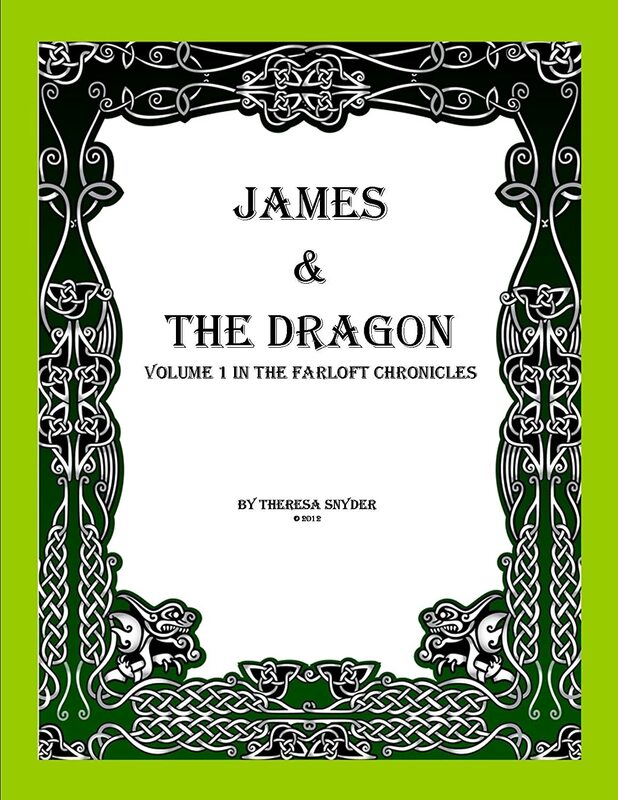 James & The Dragon, by Theresa Snyder, is a children's fantasy novel, available on Amazon (here). I met Ms. Snyder on Twitter, and she is a delight to converse with online. She gifted a copy of James & The Dragon to me for an honest review. What would you do if you were adopted by a dragon? When ten-year-old orphan James nearly drowns in a bog, he finds himself rescued by Farloft, a centuries old dragon with a glittering collection of treasures and an even richer collection of stories. But, dragons and boys are not meant to live together – or are they? When Laval – a wizard harboring a secret hatred for Farloft finds out about James, he sees his chance for revenge. Theresa Snyder's tale of a dragon and two very different humans pulled me in from the start. She has created a powerful, character-driven story. These three characters are easy to understand and relate too, yet complex enough that they don't come across as caricatures. Farloft the dragon especially steals the show. The ancient, thoughtful, and caring dragon lives a self-imposed exile, bitter toward and separated from humans, but his true feelings and nature come out as he gets to know James. The world Ms. Snyder created is harsh and cold. Though the kingdom itself comes across a bit bland at times, this actually serves the story. Ms. Snyder contrasts this present darkness with fantastic stories of the world's past, as told by Farloft. Tales of magic, war, and powerful wondrous items setup what I expect will be further intrigue in future books of the series. Ms. Snyder markets her book on Twitter as geared toward nine to eleven year old boys. This is fitting, as James, an orphan in a plagued land, is about ten years old in the story. I gave James & The Dragon to my own nine year old son to read, as I think he will really enjoy it. I expect this will be a series we can share together. Ms. Snyder's writing is clear and concise, and easy to read. The book is well edited and the story and plot flow without any hiccups. I am confident my nine year old will fly through the book's 60 pages in short order. I look forward to his reaction to this tale. The first book of The Farloft Chronicles grabbed me and would not let go. The story builds up to a fitting climax and satisfying ending. Ms. Snyder has done a wonderful job creating a world I look forward to going back to. James & The Dragon is a great story for young boys. I found myself taken back to the innocence of my own youth, when dragons were terrifying and yet awe inspiring. I highly recommend this story to anyone looking for a fun, magical tale. This is a story any dragon-loving reader should pick up!